Mushu celebrated her 7th birthday on Thursday, March 14th so that seemed like a day to try a new treat! She often eats the Chicken Paw Pie wet food so I was sure she would love the treats as well. I was right! She gobbled the soft treat right up. 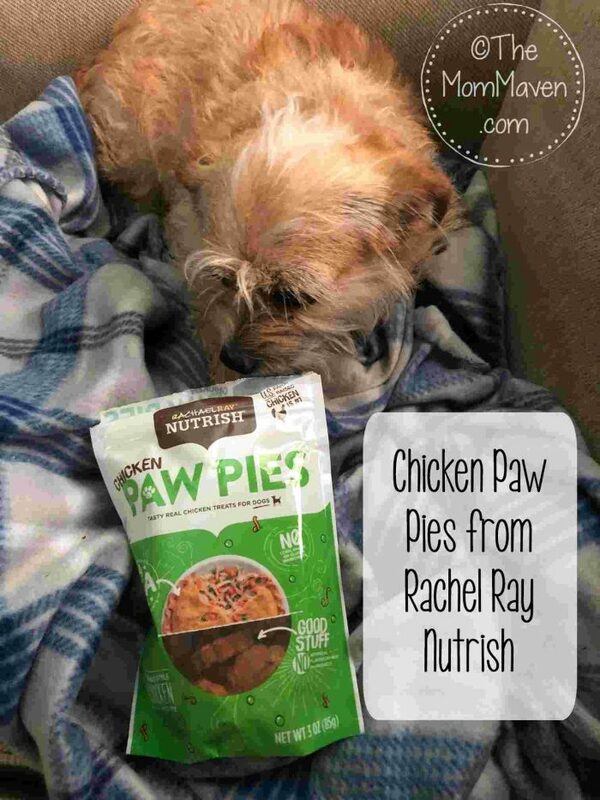 Your dog will be begging to sink his teeth into Chicken Paw Pies dog treats from Rachael Ray Nutrish. Made with real, farm-raised chicken as the number one ingredient, this savory snack tastes like your favorite comfort food. Because every bite is free of grains, artificial flavors and meat by-products, you can feel confident that your pup is getting all the yum without any of the stuff you don’t want him to eat. And it’s all safely cooked right here in the USA! USA farm-raised chicken is the #1 ingredient for a safe, tasty treat worth savoring. Features protein from real meat—with absolutely no by-product or by-product meals. Easy to break into small pieces, these treats are paw-fect for training. Made with the world’s best ingredients and cooked right here in the USA. 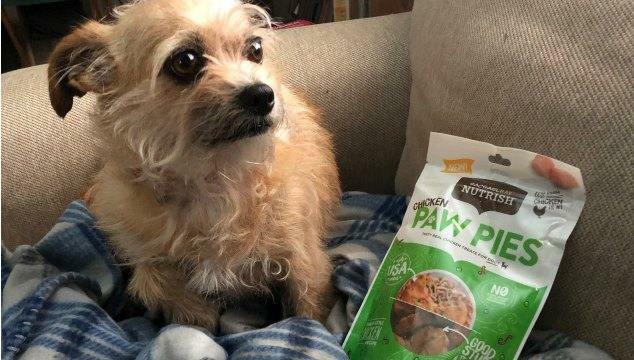 Mushu loves that these dog treats are soft and flavorful. I never question the quality of the products we get from the Rachel Ray Nutrish line. I love that I can order Mushu’s dog food and treats from Chewy.com and they arrive on my doorstep in just a few days. You also get free shipping on orders over $49 and they offer auto ship! It just doesn’t get easier than shopping for all your pet products on Chewy.com.